Periodically, we’ll feature an article by a columnist on the Headstash staff who will give you a personal take on themes within our scene, including anything from jam bands to electronica acts and environmentalism to drug reform. 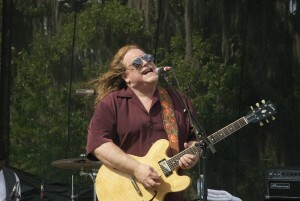 A jam band, by definition, is a band that favors extended periods of spontaneous improvisation during their live shows. Throw in some crunchy grooves and Garcia-esque rhythmic noodling and you’ve got yourself a recipe for jam band heaven, right? Wrong. The very concept of a “jam band” has grown from a loose, overarching identity into a quick-reference, pop-culture schema that encapsulates an entire culture, with the music almost being secondary. In the 60s, the term jam band hadn’t even breached the country’s lexicon. Groups like The Grateful Dead and The Allman Brothers Band belonged to the psychedelic-rock genre. The jam band label evolved in the early 90s to describe groups like Phish, Widespread Panic and moe. who incorporated a variety of genres into their melting pot of musical styling. "Does this make DMB a jam band? Most heads would say “no” faster than a wook turns down a haircut or a shower." Even Blues Traveler, the quintessential 90s radio-friendly darlings, was considered a jam band. Blues Traveler’s festival, H.O.R.D.E. (Horizons of Rock Developing Everywhere), included Phish, Widespread Panic, and – take a deep breath for this one – Dave Matthews Band. Even still, Dave Matthews and company got their start opening for Phish and, to this day, Dave and Trey share one of the most affectionate bromances of modern music. DMB is one such band that can be quickly labeled as not belonging to the “scene.” This boils down to one overriding factor: mainstream acceptance. With a hybrid style of jazz, folk and world music, DMB exploded in the 1990s on the strength of the jam band formula. 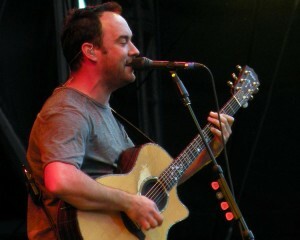 Following the traditions of The Grateful Dead and Phish, DMB amassed a rabid following by allowing fans to record and circulate tapes of live performances. Yet it was Dave’s distinct pop sensibility and popularity among the beer-chugging college fraternity crowd that begin to tint his band’s public perception. This strikes at the true chord in the jam band versus fringe-band debate. In other words, they have grown in popularity to include new fans that do not necessarily embody the values and customs of jam culture. Thus. an intense divide is formed that fuels this self-perpetuating debate. Despite being regulars on the festival circuit, Michael Franti and Spearhead’s reggae vibes and “irie” sensibilities are overshadowed by their front-man’s political beliefs. Franti’s outspoken stances on, among other topics, ecological conservation and peace in the Middle East, come across to some as pretentious and preachy. 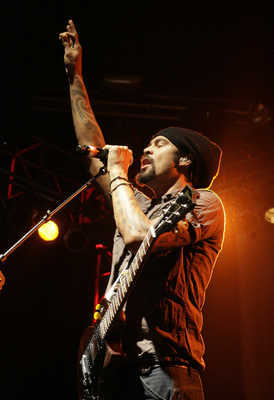 Certainly Franti’s progressive-minded lyrics have fueled some of the greatest music the band has produced (see 2008’s “All Rebel Rockers” for an excellent example of this), but using the stage as a soap-box has turned many fans away. While Michael Franti and Spearhead do resonate with those who have the spark for activism, his preaching and prying delivery coupled with a tendency to flirt with pop-friendly radio-singles have relegated his group of reggae-rockers to the fringe. The indie/roots trio from Boston has been consistently labeled as a jam band by the mainstream and as pop-friendly outsiders by the heads. Dispatch’s socially conscious lyrics and shows (having benefits for Zimbabwe and whole shows for educational charities) represent the same type of outspoken commitment to social justice as Michael Franti. Dispatch refused to deal with the outdated conventions of big-business record labels and as such were among the first popular musicians to embrace the DIY lifestyle. Like many groups on the jam band circuit, Dispatch encouraged listeners to share their music and it is unlikely that their musical stew of funk, reggae, ska and protest lyrics would have been embraced by the masses if the group had not first created a community within the jam scene. Unfortunately, like the Dave Matthews Band, Dispatch’s pop-sensibilities and radio friendly singles did crossover to the mainstream attracting scores of new fans that had little or nothing to do with the jam scene. Let’s get one thing straight, Warren Haynes is a jam demigod and his roles in sustaining the music and tradition of The Grateful Dead and The Allman Brothers Band have earned him a spot on the Mt. Rushmore of the jam-scene. Even still, the blues-and-roots oriented focus of Haynes prevents Gov’t Mule from gaining true acceptance in the jam community. In a scene that has fully embraced electronica, Warren Haynes and company are simply relics of a bygone era. Warren has never received much mainstream radio-play, and is generally well received by the jam-community, but his commitment to the genres of the old guard have made him a stranger in his own scene as audiences continue to age. Fringe bands exist in the margins of the jam-scene because they straddle the line between the mainstream and the counterculture. All of these groups are regulars on the festival circuit – which has grown to be the focal point of the jam culture – and thus are very much a part of the scene. Yet it comes down to perception and a sense of ownership. Those heady kids feel as if Dave Matthews, Michael Franti and Warren Haynes don’t belong to them, in the sense that their bands have achieved success in other markets and cultures. In the eyes of the jam scene, that’s the kiss of death.